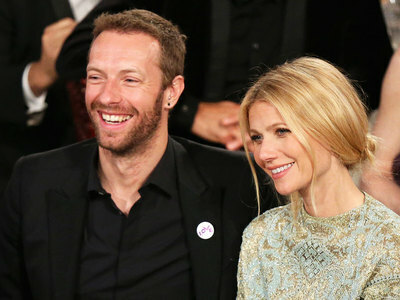 Gwyneth Paltrow and Chris Martin are finally officially divorced. Although the two have been separated for about two years now, their legal split was concluded only now. The divorce papers have been signed by a Los Angeles judge and the whole case was closed. The statement was shared by the pair on Gwyneth’s lifestyle website Goop in 2014. This was an amicable split that took into consideration the needs of their children and even more than that, it made the transition easier for the couple’s kids. Gwyneth Paltrow and Chris Martin have wedded in December 2003. They actually married in secret a few days after they announced that they were set to welcome their first child together. The former couple has two children together. Despite their split, the two stars have remained close friends and they have been seen together on various occasions, enjoying quality time with their two children. Furthermore, Gwyneth was even spotted at one of Chris’ concerts. The Iron Man actress previously opened up about how things have been for her and Chris with the separation. “As anybody who has been divorced knows, you have to put a lot aside to maintain the family and the practicalities of what that might mean and sometimes that’s quite tough on a personal level. It’s a commitment I make every day to my children and their father even though we’re not in a romantic relationship,” she claimed. Given that Gwyneth and Chris have stopped being a couple quite some time ago, they have both managed to move on. The actress has been dating Brad Falchuk, the co-creator of Glee, since August 2014. On the other hand, Chris has been linked to a series of famous women, including beautiful actress Jennifer Lawrence.